Source Link: Is Israel-Iran clash imminent? Of particular note, two of the five military fronts concerning Israel have rapidly escalated in recent months. In the campaign against Iran being waged in Syria, the two sides have inched closer to an unprecedented tipping point. The situation in Gaza has worsened, with mass marches and protests held at the border fence every Friday for the past four weeks, in addition to the ongoing humanitarian crisis in the enclave. The odds for an all-out war between Israel and its opponents this summer are no longer miniscule. As I wrote April 18 in Al-Monitor, Defense Minister Avigdor Liberman said at a Cabinet meeting that it is possible that war will, indeed, erupt, and if so, Israel will have to cope with Iran, Syria, Hezbollah and the Lebanese army as well as Hamas, Palestinian Islamic Jihad and Salafist groups in Gaza. Many Israeli legislators are worried, because for the first time in a long time, consensus exists among Israel’s top brass about the situation and how to deal with it. There are no dissenting or minority opinions on the subject, no moderate voices warning against escalation and the possible results. It reminds some of Israel’s statesmen of the heady days between the 1967 war and before the eruption of the 1973 Yom Kippur war, which resulted in one of Israel’s greatest military catastrophes. An examination of Israel’s strategic situation shows the current period to be ripe in terms of a possible confrontation with Iran. Syrian President Bashar al-Assad is busy trying to survive and therefore would have no intention of taking an active part in such a conflict. Hezbollah, meanwhile, wants to retain its arsenal of rockets and missiles for “Judgement Day,” and therefore is distancing itself from possible conflict. Thus, assuming Iran has to face Israel alone, this scenario would be a golden, one-off opportunity for Israel to create new rules of the game and secure its redlines in Syria — that is, it will not tolerate an Iranian presence in Syria, period. Such is the current thinking of Israel’s leadership. The problem is that in the case of a serious flare-up, basic working assumptions can vanish into thin air with the launching of hundreds or thousands of missiles from both sides. According to intelligence that reached the West, Soleimani was behind the Iranian decision to disclose that seven IRGC members were killed in the April 8 assault attributed to Israel on the T4 air base near Homs. The names of the guards were released, and mass public funerals were held. Western intelligence sources believe that this was an attempt by Soleimani to force the Iranian leadership, mainly Rouhani, into acting against Israel and support a harsh military reprisal, for which Israel is waiting. According to some assessments, Iran will try to retaliate using an Israeli approach: hitting a military base, inflicting losses on soldiers, but not targeting civilians. It is believed that the strike will be carried out from Syrian territory against a military target in northern Israel. The IDF is preparing for such a scenario, but what will Israel’s political echelon do after the Iranian reprisal? Will it decide to “contain” it and forgo retaliation? Undertake a symbolic reprisal or launch an aggressive assault to eliminate additional Iranian targets on Syrian territory? This last option might serve to turn the entire northern front into one big conflagration. All eyes are focused on two triumvirates: Khamenei, Rouhani and Soleimani in Iran and Netanyahu, Liberman and IDF Chief of Staff Gen. Gadi Eizenkot in Israel. For the first time in ages, both sides are not certain they want to avoid a confrontation at all costs. Netanyahu might well use the heating up on the northern front to neutralize or delay his trials and tribulations on the legal-criminal front. According to one scenario, he could try to assemble an emergency government by asking the opposition, led by Isaac Herzog in the Knesset and including the Zionist Camp (led by Avi Gabbay, chair of the Labor Party) and Yesh Atid (led by Yair Lapid), to join. This would enable him to appear as the nation’s leader in a time of crisis and downplay the police investigations tightening around him. The chances that such a scenario will play out are not as low as they used to be. The closer the decisive moment gets, the more and brighter the warning lights. The traditional restraining elements in Israeli politics have been weakened, the consensus in Israel is worrisome and the slope is more slippery than ever. To this, one should add revelations in the April 23 edition of the Russian newspaper Kommersant, according to which Russia plans to supply Syria with an S-300 aerial defense system in the near future, free of charge. These revelations might generate a preventive Israeli strike, which could not only ignite that arena, but also drag Russia deeper into it. President Donald Trump said Tuesday he defined denuclearization of North Korea as the rogue country getting rid of all its nuclear weapons. “Meetings are being set up, and I want to see denuclearization of North Korea. A lot of concessions have already been made,” Trump said at a White House press conference alongside French President Emmanuel Macron. Trump said he had made no concessions on his side ahead of a planned summit with North Korean dictator Kim Jong Un. North Korea announced last week through state media that it would immediately suspend nuclear and missile tests, as well as abolish a nuclear test site in what it called an effort to bring peace to the peninsula. Trump tweeted Sunday North Korea had “agreed to denuclearization,” although Kim had not done so as defined by the Trump administration. Sleepy Eyes Chuck Todd of Fake News NBC just stated that we have given up so much in our negotiations with North Korea, and they have given up nothing. Wow, we haven’t given up anything & they have agreed to denuclearization (so great for World), site closure, & no more testing! President Donald Trump did not restrain giving his opinion about the “terrible” Iran nuclear deal on Tuesday during a meeting with French President Emmanuel Macron, warning Iran against restarting its nuclear program. “You’ll find out about that. It won’t be so easy for them to restart. They’re not going to be restarting anything. They restart it, they’re going to have big problems, bigger than they’ve ever had before,” Trump said during his meeting with Macron at the White House. The Iranians warned that if the United States withdrew from the deal, they would restart their efforts to develop nuclear weapons. Macron said the Iran deal was an important part of stabilizing the region, pointing out that it was important to contain Iranian influence. Trump agreed that Iran was a problem. “It just seems that no matter where you go, especially in the Middle East, Iran is behind it. Wherever there’s trouble — Yemen, Syria, no matter where you have it — Iran is behind it,” he said. He added that, “unfortunately,” Russia was also getting more involved in the region. Trump ridiculed former Secretary of State John Kerry for not addressing other important issues in the Iran deal at the time of the agreement. “The Iran deal is a disaster,” he said, pointing out that Iran was continuing to test ballistic missiles and fund terrorism in the Middle East. The American admiral slated to head the US Pacific Command is planning a buildup of American forces in the region along with closer alliances as part of the Pentagon’s new strategy to counter China. Admiral Philip Davidson, the nominee for the command job, revealed in little-noticed testimony to a US Senate committee how he will restructure the 375,000 military and civilian personnel, 200 ships and nearly 1,100 aircraft in the region. If confirmed for the position, a prospect likely in the coming weeks, Davidson said he would “recalibrate” the command in line with the Pentagon’s new national defense strategy. “This effort entails ensuring the continued combat readiness of assigned forces in the western Pacific; developing an updated footprint that accounts for China’s rapid modernization and pursuing agreements with host nations that allow the United States to project power when necessary,” Davidson stated in written answers to questions posed by the panel. Davidson did not elaborate on the plans. But likely improvements in the US military posture are expected to include expanded naval forces with additional submarines and warships, including possibly a second forward-deployed aircraft carrier strike group. New deployments to Asia of advanced warplanes and drone aircraft also are expected, along with regional arms sales to American allies of ships, aircraft, missiles and drones. “In the future, hypersonic and directed energy weapons, resilient space, cyber and network-capabilities, and well-trained soldiers, sailors, airmen, marines, and coastguardsmen, will be crucial to our ability to fight and win,” he said. Current forces in the region do not support Pacom’s defense requirements, Davidson noted. The comments by the admiral reflect the more muscular policies of US President Donald Trump and Defense Secretary Jim Mattis, who have made confronting Chinese aggressiveness in Asia and around the world a strategic priority. Based on China’s development of asymmetric warfare capabilities like anti-satellite weapons, cyber weaponry and high-speed hypersonic missiles, Davidson urged Pacific Command to rapidly field its own advanced war fighting capabilities. “Pacom is heavily dependent on high-end warfare capabilities, including fifth-generation aircraft; munitions capable of penetrating China’s anti-access/area-denial environment; undersea warfare dominance capabilities; and survivable logistics and mission partner networks,” he said. Hypersonic missiles are weapons that travel at speeds of more than 7,000 miles per hour and can maneuver, making them difficult systems to counter with increasingly sophisticated air and missile defenses. The United States is readying forces that would be used to counter what the admiral described as “Chinese malign activities,” ranging from the militarization of built-up islands in the South China Sea to anti-democratic subversion through the Beijing development program called Belt and Road. The Belt and Road program is part of Beijing’s bid to “shape a world aligned with its own authoritarian model while undermining international norms such as the free flow of commerce and ideas,” he said. Predatory loans and other actions used in the program are indicators China is using its Belt and Road program to coerce states into greater access and influence for China, he added. Specifically, the new US defense strategy outlines two military components that have not been clearly revealed in public. The concepts are part of Mattis’ military reform efforts that seek to produce more lethal and agile global forces. American military forces are now structured on a post-Cold War posture when the United States was the dominant military power and the main threats were rogue states. The first new concept is called “dynamic force employment” that seeks to increase military options for responding to conflict, ranging from major wars to regional actions in Asia and Europe. The second concept is called the global operating model that outlines how military forces would be structured and used in both pre-conflict global competition and wartime missions. Key capabilities include nuclear arms, cyber warfare and space warfare arms, advanced command, control and communications, strategic mobility and forces for countering weapons of mass destruction. One key aspect involves contact with competitors that will seek to better position American military forces to compete more effectively against foreign threats below the level of armed conflict. This is what military analysts call “gray zone conflicts,” like the covert Russian takeover of Ukraine’s Crimea in 2014, and China’s covert militarization of built-up islands in the South China Sea that started in 2013. Davidson testified that both concepts will guide forces in dealing with China. To ensure China will be deterred from expansionism or aggression, whether in the South China Sea, East China Sea or against Taiwan, Davidson vowed to regularly assess the military footprint in Asia. 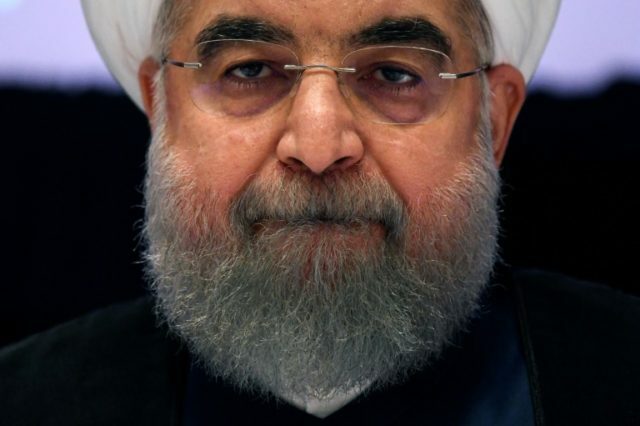 Iranian President Hassan Rouhani warned Tuesday of “severe consequences” for the U.S. should it withdraw from the Iran nuclear deal, a step President Donald Trump has indicated he will take if certain changes to the agreement are not made. 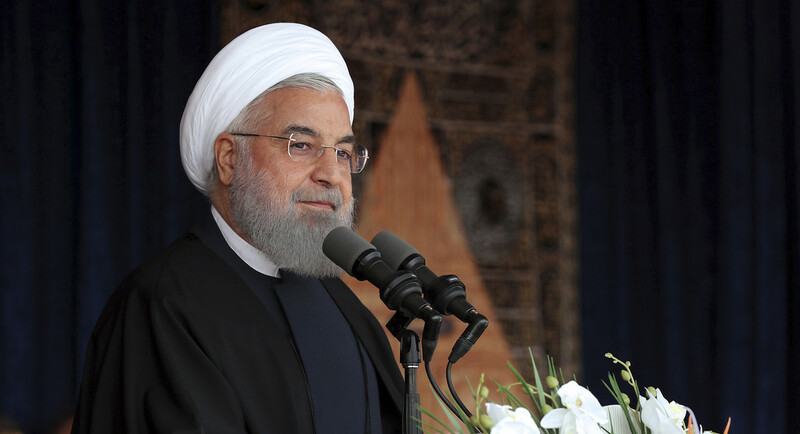 “I am telling those in the White House that if they do not live up to their commitments … the Iranian government will firmly react,” Rouhani said in a speech, according to a Reuters report. The Iranian president’s warning coincides with the visit of French President Emmanuel Macron to Washington, where he is expected to urge Trump to keep the U.S. in the deal, which was negotiated under former President Barack Obama and agreed to by the five permanent members of the United Nations Security Council, plus Germany and Iran. Complaints about the Iran deal were among Trump’s most frequent talking points on the 2016 campaign trail, including a pledge to pull the U.S. from it. The president has yet to follow through on that promise, opting instead to continue extending the deal while demanding that it be altered to address other behavior by the Iranian government, including its funding of groups deemed by the U.S. to be terrorist organizations, that currently falls outside the scope of the nuclear deal. Iranian Foreign Minister Javad Zarif wrote on Twitter that his nation’s compliance with the deal was “either all or nothing,” indicating that Iran would not remain party to the deal if the U.S. withdraws, even if the other nations do not. Rouhani, delivering a speech in the city of Tabriz, said Iran is prepared for whatever move Trump makes. Russia has not yet decided whether it would deliver the advanced missile systems to Syria, says Russian FM Sergey Lavrov • Western military strikes on Syria have removed any moral obligation Russia had to withhold the system from its ally, he adds. Israel has asked Moscow not to deliver advanced S-300 anti-aircraft missile systems to Syrian President Bashar Assad’s regime, a Russian diplomat who spoke on condition of anonymity said Monday. An Israeli government spokesman declined to comment on the report. Russian Foreign Minister Sergey Lavrov said Monday that Russia had not yet decided whether it would deliver the missile systems to Syria, but would not make it a secret if the matter is decided, the TASS news agency reported. Earlier Monday, citing unnamed military sources, Russia’s daily Kommersant newspaper reported that Russia might start supplying the anti-aircraft missile systems to Syria in the near future. Lavrov said Friday that Western military strikes on Syria earlier this month, launched in response to alleged poison gas attacks on a rebel-held town near Damascus, had removed any moral obligations the Russians may have had to refrain from supplying the Syrian regime, Russia’s ally, with the missile systems. “We’ll have to wait to see what specific decisions the Russian leadership and representatives of Syria will take,” TASS cited Lavrov as saying Monday during a visit to Beijing. “There is probably no secret about this and it can all be announced,” Lavrov added. Kommersant reported Monday that experts believed Israel would react negatively to any move to deliver the missiles and might bomb the area where they would be deployed. Israel has made repeated efforts to persuade Moscow not to sell the systems to Syria, as it fears this would hinder its aerial capabilities against arms shipments to the Iranian-backed Lebanese terrorist group Hezbollah. Israel has carried out multiple air strikes against such suspected shipments. Justin Bronk, an analyst from the Royal United Services Institute in London, said previous attempts by the Assad regime to buy the S-300 were never concluded because Israel managed to persuade Russia, through the supply of unmanned drone technology, not to go through with the deals. He said he thought it was now likely that Russia would supply Syria with the S-300 system, although it was unclear which of the several versions, with significantly differing capabilities, Syria would receive. Since the election of Donald Trump, prominent American Jews, notably in the Reform movement and among the intelligentsia, have lamented the resurgence of right-wing anti-Semitism, seeing it as the greatest threat to their community in the United States. The rise of xenophobic and often marginally anti-Jewish parties in Eastern Europe—even with fewer Jews left there to persecute—has deepened the alarm. Yet by far the greatest threat to Jews, not only here but also abroad, comes not from zombie fascist retreads, but from the Left, which is increasingly making its peace with anti-Semitism. This shift was first made clear to me about 15 years ago when, along with my wife Mandy, whose mother is a Holocaust survivor from France, I visited the legendary Nazi-hunters Serge and Beate Klarsfeld. They predicted that the primary threat to Jews in Europe increasingly would come not from the centuries-old French Right, some of whom had supported the Nazis, but from the Left, in alliance with a growing Muslim population. Time has proved their assertion to be, for the most part, on target. In Sweden, for instance, never known for its persecution of Jews, only 5 percent of all anti-Semitic incidents, notes the New York Times, involved the far Right, while Muslims and leftists accounted for the rest. Germany’s recent rash of anti-Semitic incidents has coincided with the mass migration of people from regions where hostility to both Jews and Israel is commonplace. At European universities, where pro-Nazi sentiments were once widely shared, anti-Israel sentiments are increasingly de rigueur. 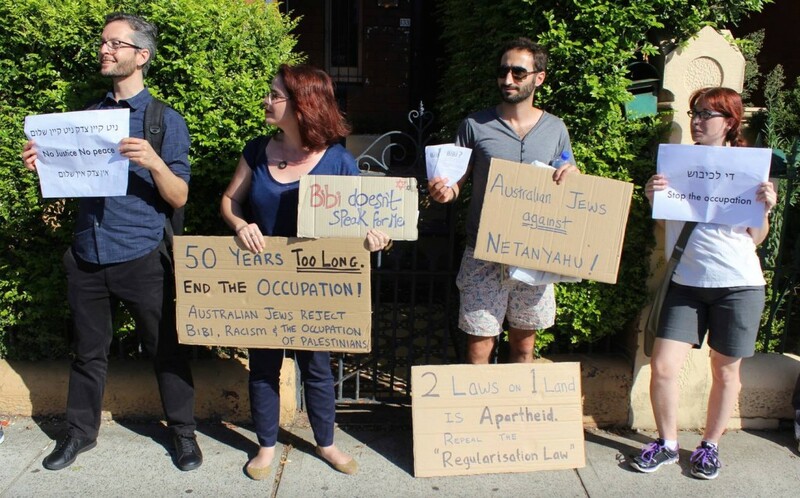 The growing Boycott, Divestment and Sanctions (BDS) movement, aimed at cutting all ties with Israel, often allies itself with anti-Jewish Islamist groups, some with eliminationist agendas for Palestine’s Jews. Of course, anti-Zionism and anti-Semitism are not identical. One can criticize some Israeli policies—as many American Jews do, for example, on the expansion of settlements—without being an anti-Semite. But, as the liberal French philosopher Bernard-Henri Levy argues, targeting the Jewish state while ignoring far more brutal, homophobic, and profoundly misogynist Muslim states represents a double standard characteristic of anti-Semitic prejudice. European progressives increasingly embrace this double standard. Generally speaking, the further left the European politician, the closer his ties to Islamist groups who seek the destruction of Jews in Palestine. Many left-wing parties—the French socialists, for example—depend more and more on Arab and Muslim voters, who come from countries where more than 80 percent of the public holds strongly anti-Jewish views. The Left’s animus toward Jewish causes has spread to Great Britain, where Labour Party head Jeremy Corbyn counts the leaders of openly anti-Semitic groups like Hamas and Hezbollah as allies. If Corbyn becomes Britain’s next prime minister—no longer inconceivable, given his strong showing in the last election—the consequences for Israel, and for Britain’s dwindling Jewish community, could be troubling. Some, like Barcelona’s chief rabbi, think that it’s time for Europe’s Jews to move away, and many, particularly in France, are already doing so. Europe’s Jewish population (roughly 1.4 million) is less than half what it was in 1960, and a mere fraction of its pre-Holocaust size (9.5 million). Israel and the Anglosphere—the United States, Canada, and Australia—look like the remaining safe harbors for Jews. To date, anti-Semitism in America has been more restrained than in Europe, both on the right and on the left. But mainstream Jewish leadership and its progressive intellectuals are stuck in an historical loop where it is always 1940; Hitler now takes the form of Donald Trump. The notion that Trump, however unattractive in his xenophobia, is anti-Semitic—a commonplace among progressive Jews—seems absurd, given his Jewish grandchildren and pro-Israel policies. Yet some progressive Jews even sat shiva—the traditional period of mourning following the death of an immediate relative—after Trump’s election. The disdain toward Trump among the rabbinate—often more liberal than congregants—was reflected in the cancellation of this year’s annual Rosh Hashanah call with the president. Trump, as these Jews allege, has at times seemed to encourage the white supremacist “alt-right,” but the alt-right, while loud, is marginal. Groups like the Ku Klux Klan and various National Socialist wannabes exist more vividly in the literature and imagination of fundraisers than they do in the real world. The far Right has no political leader of consequence, and its media presence is limited, to say the least. As the Los Angeles Times reported last year, the nine major alt-right sites received nearly 3 million visits and 839,000 unique visitors, compared with 236 million visits and 102 million unique visitors for the mainstream Left, and 264 million visits and 111 million unique visitors for the mainstream Right. As in Europe, the danger to Jews primarily lies not in the white nationalist fever swamps but on the left. Much of the Democratic Party coalition—the progressive Left, minorities, and millennials—has turned decisively against Israel. The most anti-Israel members of Congress tend to come not from the backwoods of Alabama but from “progressive” inner cities, coastal tech-burbs, and academic communities. In polls, minorities and millennials are consistently less sympathetic to Jews and Israel than older, generally white Republicans. According to the Anti-Defamation League (ADL), African-Americans are twice as likely to be anti-Semitic than the general population; roughly 12 percent of blacks express anti-Semitic views. The attitudes of native-born Americans of Hispanic descent track fairly closely with those of other Americans, but Hispanics born abroad are three times as likely to dislike Jews. Equally disturbing, notes Pew, warm feelings toward Jews are strongest among seniors, at 74 percent, but drop to 62 percent among millennials. To be sure, anti-Semitism is not rampant in America today, but the political evolution of progressive Democrats points to a troubling future. Last year, the party almost named Minnesota congressman Keith Ellison as its chairman (he became vice chairman). Ellison has met repeatedly with Louis Farrakhan, though he claims to have broken all ties with the notorious Jew-baiter. Many Jewish Democrats, particularly in the Reform movement, seem more concerned with maintaining unity among the anti-Trump “resistance” than about their party’s growing anti-Jewish sentiment. To some extent, their silence reflects the progressive logic of intersectionality, which envisions a popular front made up of oppressed people—and excluding anyone with a Zionist taint. Some Jewish progressives won’t even denounce anti-Semites like Linda Sarsour, a prominent leader of the anti-Trump women’s march on Washington earlier this year. Like other march organizers, Sarsour celebrates her ties to Farrakhan. She is also a devoted anti-Israel activist, supporter of the BDS movement, and Hamas admirer who once tweeted that “nothing is creepier than Zionism.” Tamika Mallory, another women’s march co-founder, recently joined Sarsour in denouncing Starbucks for inviting the ADL to help run racial-bias training sessions for its employees—because the ADL, as they see it, instructs local police departments in Israeli techniques of controlling and killing people of color. Other outsider groups have played the intersectionality card to justify discrimination toward Jews. Organizers of a gay rights march this summer in Chicago moved to exclude marchers who put Jewish stars on their banners; organizers explained that Zionism is “an inherently white supremacist ideology.” Never mind that Israel is infinitely more tolerant of homosexuality than its Muslim neighbors. American college campuses have become, as in Europe, major incubators of anti-Israel and anti-Jewish agitation as well. Ironically, much of the worst abuse occurs on the most liberal campuses—San Francisco State, the City University of New York’s Brooklyn campus, and the University of California—while more conservative Southern schools seem more welcoming. Like European Jews in the early 1930s, young Jews on campus are living in an increasingly authoritarian atmosphere, with the shouting down of speakers, limits on free speech, and roughing-up of Trump supporters. More than half of Jewish students, notes a Trinity College study, have experienced anti-Semitism in some form. Most incidents are perpetrated by anti-Israel activists, not wannabe brownshirts from the alt-right. How can American Jews avoid the increasingly marginalized fate of their European counterparts? Performing good deeds, or mitzvot, and speaking for tolerance, remain critical, but more attention needs to be paid to the 40 percent of Jewish millennials who are already unaffiliated, compared with just 25 percent among baby boomers. Younger Jews are also increasingly indifferent to Israel; a quarter of Jews under 30 feel that American support for the Jewish State is excessive, compared with just 5 percent of their elders. But above all, Jews should remember what they owe in allegiance to America and its fundamental ideals. The basic principles of due process, equality under the law, free speech, and religious freedom—not the vaporous promises of “social justice”—represent the best guarantee that in this country, at least, the historically miserable experience of Jews will not be repeated. My Father joined me on my warship for the ceremony marking the withdrawl of Israeli forces from the Sinai after the peace agreement with Egypt. Please help “A Sclerotic Goes to War” stay online till the war ends. Sharyl Attkisson on FISA Surveillance Abuses. Why are Arab armies rubbish?